We weren’t just checking out artwork and the latest 3D printers and applications or attending press conferences and keynote at last week’s RAPID + TCT in Fort Worth – 3D software was also on display at the conference. While attending the show, I appreciated the opportunity to speak with two companies that are using innovative 3D software solutions to make design easier for users – Frustum and ANSYS. At Frustum’s booth, I sat down to chat with Vice President of Product Management Shibai Bagchi. The company, which is well known for its cloud-based topology optimization Generate software product, released the latest version of its core TrueSOLID technology last month. Patent-pending TrueSOLID is at the heart of Frustum’s unique technology, and according to Bagchi, is “one of a kind” in the industry, as it “empowers users to seamlessly blend freeform generative geometry with precise CAD geometry producing manufacture ready designs that do not require manual re-modeling in CAD.” It is the first 3D volumetric kernel for generative design in the industry, and the only one that can generate ready-to-manufacture, topology optimized designs, like lattices and gyroids. Additionally, the technology is CAD agnostic. 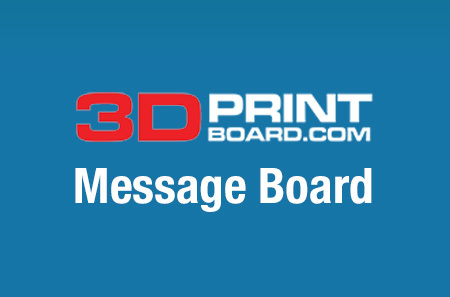 “No matter what CAD you’re using, this software works,” Bagchi said. 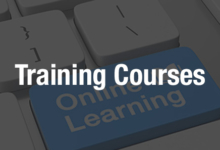 Bagchi told me that many students are using Frustum’s technology, including in a professional, online course co-developed by MIT and Boeing that’s targeted toward design engineers and professionals looking to gain experience in DfAM. The nine-week Additive Manufacturing for Innovative Design and Production course, which began yesterday and is also using an educational 3D printed kit from Protolabs, will be using Generate and Onshape software as well. Another plus for TrueSOLID is that the technology is now commercially available. Siemens, which started using Generate last year with a commercial license to decrease the complexity in additive design, is now licensing the topology optimization module of Frustum’s TrueSOLID platform. The technology is also easy to use, partially because it’s web-based. Ease of use is not always the case in regards to traditional CAD software. “Lots of generative design software is hard to use, and we’ve brought ease of use for people,” Bagchi told me. Frustum also provides a web app, which mainly targets designers and engineers who use other CAD apps and want to use topology optimization and generative design to “expand what’s possible.” In order to democratize the technology for the mainstream market, Frustum’s app also provides access to YouTube videos and online tutorials. 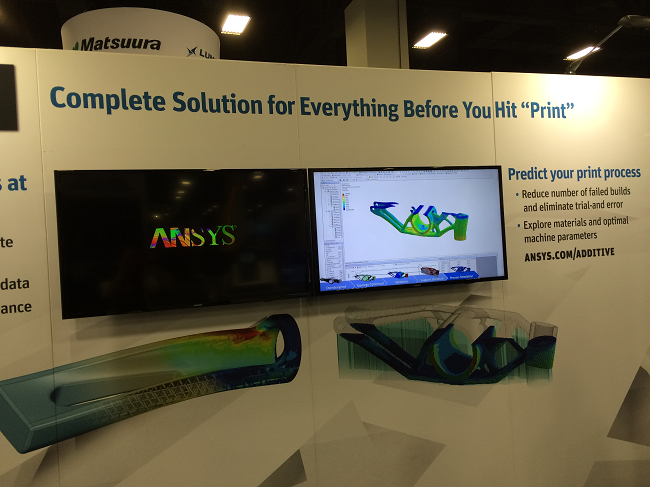 Just in time for RAPID, ANSYS released two new simulation software solutions for 3D printing. The new solutions, ANSYS Additive Print and ANSYS Additive Suite, will allow for faster, more flawless 3D printing of complex metal parts. When I asked Brent Stucker, PhD, the Director of Additive Manufacturing for ANSYS, how the release has been, he said it’s been “going very well.” Since ANSYS, which Stucker calls the “most trusted simulation software in the world,” acquired 3DSIM, of which Stucker was the CEO, in November, it’s been working hard to integrate the tools from both companies, which were able to come together for this release. Stucker explained that ANSYS and its “best in class” simulation software is an “integral part” of the AM ecosystem, and “works with all software solutions” that people are “interested in using,” to provide “simulation for design and successful 3D printing” without having to deal with a clunky workflow. By merging the concepts from ANSYS and 3DSIM, customers have the ability to use lattice structures, then optimize them during design and use simulation, based on physics, to predict where supports need to be added and to determine if the shape will change once it’s 3D printed. Without ANSYS simulation, the part is not level. Part is level, thanks to ANSYS software. Then you can turn your attention to figuring out the machine process parameters, and if there will be a difference in the final part if these parameters change. “Simulation tools help all along the line,” Stucker told me. While the company plans to add software solutions for polymers at a later date, the tools are currently configured for metals, because it can cost thousands of dollars if a metal part fails – unlike with polymer part failures. These newly released simulation software products by ANSYS are already in use with many partners. One example is a custom metal 3D printed filter by UK manufacturer Croft Filters. According to ANSYS, most parts that are 3D printed using laser powder bed processes experience distortion, which is hard to correct. Croft’s Diamond Filter had a bulge in the mesh section, right below where the part transitioned to a solid ring. 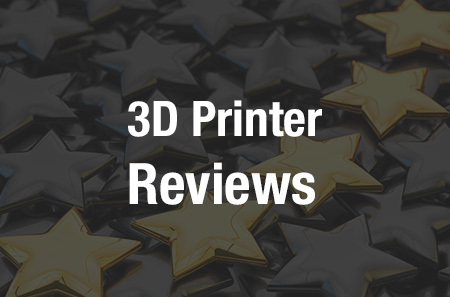 But the company was able to use the Additive Print solution from ANSYS, which has a Distortion Compensation feature that can rapidly predict how parts will distort during 3D printing, to fix the issue ahead of time. Using this simulation software from ANSYS, which can “predict what will happen and not just guess,” Croft was able to reduce six months of trial and error down to just one day. Now that it’s integrating 3DSIM’s tools with its own, ANSYS can enter the AM simulation market “with a complete suite of tools” to achieve fast, cost-effective 3D printing. “The most mature thing we’re doing is shape prediction,” Stucker told me. This capability can check ten different orientations and select the best one, then simulate the what-ifs, instead of having to answer them through trial and error. This summer, ANSYS will introduce its 19.2 release, which will include a microstructure capability.